Neogen Chemicals IPO is going to be open from 24th April 2019 for the subscription for the next 3 days till 26th April 2019. In this detailed Neogen Chemicals IPO review, we will talk about the different aspects you MUST be considering before you think of putting your hard-earned capital into this offer. The company began its operations in the year 1991 in Navi Mumbai and is engaged in the manufacturing of bromine and lithium-based speciality chemicals, which are used for imparting various properties to different kinds of products. Speciality chemicals products are organic and inorganic in nature and comprise pharmaceutical and agrochemical intermediates, polymers additives, etc. There are four manufacturing units of the company in Maharashtra and Gujarat and they are spread in a total of 40 acres. They also have in-house research and development units. Neogen Chemicals IPO will open on 24th April 2019 and close for subscription on 26th April 2019. The IPO size will be of 2,900,000 Equity shares and the face value of each share will be ₹10. The price band has been set at ₹212 – ₹215 per equity share. The offer price is 21.2 times the face value of the equity shares at the lower end and 21.5 times at the higher end. The IPO size is expected to be up to ₹70 Crore. 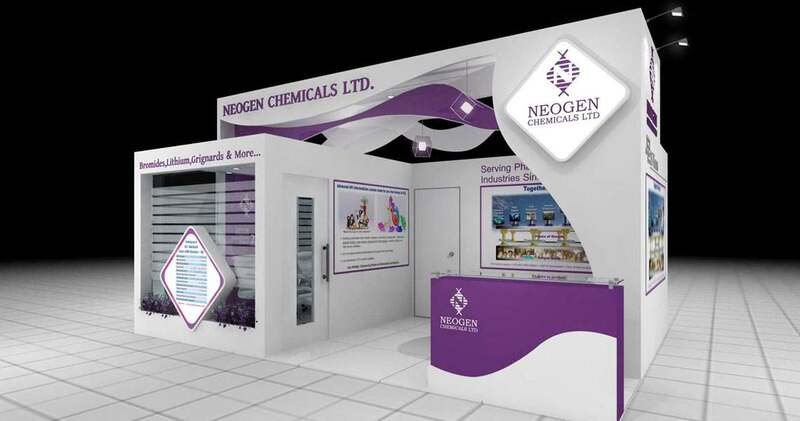 The Neogen Chemicals IPO consists of a fresh issue of up to 1,699,600 lakh equity shares aggregating up to ₹70 crores and an offer for sale of up to 29 lakh equity shares by selling shareholders. 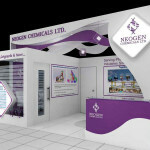 In this Neogen Chemicals IPO – up to 16,99,600 equity shares are being offered by Haridas Thakarshi Kanani and the rest 12,00,400 equity shares by Beena Haridas Kanani. The market lot size is of 65 equity shares and the shares will be listed on the National Stock exchange (NSE) and the Bombay Stock Exchange (BSE). Pursuant to a resolution passed on September 21, 2018, the fresh issue has been authorised by the Board of Directors and by the shareholders on October 16, 2018, pursuant to a special resolution of the shareholders at the Extraordinary General Meeting. The selling shareholders, Haridas Thakarshi Kanani and Beena Haridas Kanani approved their sale of shares through their consent letters dated September 20, 2018. The financial health of the company seems to be good by analysing the above-mentioned parameters. Total Revenues and profit after tax of the company have been increasing over the last few financial years. As per the restated consolidated financial statements, the return on net worth of the company for the fiscal years ended March 31, 2018, March 31, 2017, and March 31, 2016, are 20.98%, 18.31% and 18.8% respectively and for the period ended September 30, 2018, is 19.72%. The NAV figures for the company for the fiscal years ended March 31, 2018, March 31, 2017, and March 31, 2016, and for the six months ended September 30, 2018, are 25.03, 20.98, 13.77 and 28.37. Definitely, a good sign as it implies that investors are open to paying more for investing in Neogen chemicals as compared to the general industry benchmarks. Before you invest in any business, it makes total sense to have a look at some of the key metrics of the company and compare them objectively with the peer companies in the same industry. It works like a yardstick where you can figure out the current and future potential of the company to be invested in. Now, what do all these numbers mean to you? When EPS is higher, it implies 2 things: One, it is in a position to give a part of its earnings to its shareholders in the form of dividends OR Two, it can re-invest the amount into the business for even better growth. In this case, Neogen Chemicals has the lowest EPS among its peers and it is NOT a good sign. RoNW or loosely calling it Return on Capital Employed basically means the returns capability a business has, based on the amount invested. Higher the RoNW, the better but at the same time, you cannot look at this number in isolated. For Neogen Chemicals IPO, RoNW is the best among its competition companies and is definitely a VERY GOOD sign for investors. Other than the above-mentioned objectives, the company will also benefit in terms of enhanced corporate image, brand name and increased visibility through Neogen Chemicals IPO. In case you are interested to apply in this Neogen Chemicals IPO, you must be aware of the specific dates when different activities related to this IPO come into play. Now, before deciding whether to invest in the Neogen Chemicals IPO or not, let us try to analyse various aspects of the company like its strengths and risks related to its business. One of the biggest strengths of the company is its wide variety of products manufacturing a total of 187 products which include 170 organic and 17 inorganic chemicals. Due to this wide range of products, the customers they cater to are also diverse, which include pharmaceutical, agrochemical, construction chemicals etc. Also, the in-house research and development capabilities of the team of the company carried out through 2 R&D facilities are another major strength that helps the company in its growth process. Another major advantage for the company you should be looking at before investing in the Neogen Chemicals IPO is the nature of the industry it operates in, which is highly technical and requires great precision and quality standards. This creates natural barriers for new entrants in the speciality chemicals industry. The company has been operating for the last many years and has been able to maintain good relationships with its suppliers. Now, let us try to understand some of the major risks related to the business of the company. The company and its promoters and directors, etc. are involved in certain legal proceedings pending at various stages and any adverse ruling in them may pose a risk to the overall profitability of the company. The dependence on few sectors like pharma, agrochemicals, etc. is a risk factor for the company because any adverse development in these sectors may affect the business of Neogen Chemicals. The manufacturing of speciality chemicals involves processes that can be dangerous as it involves the use of hazardous chemicals. Any loss of human life damage to the environment may impose penalties on the company. Another major risk factor for the business of the company is its dependence on a few clients for the majority of its revenues. The company has loans of around ₹103.07 crores including both secured and unsecured loans which expose the company to various risks. Dependence on third party transport providers is another risk factor for the company. If the company is unable to meet the stringent quality standards or customer specifications regarding its products, it may adversely affect the profitability of the business. The industry in which the company operates is highly competitive. Inability to compete effectively may result in a decrease in operating margins. The company is exposed to the risk of foreign exchange rate fluctuations which may impact the business and profits of the company in a negative manner. The company requires certain approvals, permits, licenses, etc. in order to operate smoothly. Any delay or failure in obtaining them may have a negative impact on the functioning of the company. After analysing various important aspects of the company, it may be said that investors may choose to subscribe to the Neogen Chemicals IPO. In case you are looking to invest in this IPO or any other upcoming IPOs, let us assist you in taking the next steps forward. Currently, there are 8 Directors on the Board of Neogen Chemicals. Haridas Thakarshi Kanani is the Chairman and Managing Director of Neogen Chemicals. He is a Chemical Engineer from IIT Bombay. He is responsible for looking after manufacturing, research and development, general operations of the company along with the management functions related to the company’s manufacturing units. Inga Advisors Private Limited is acting as Book Running Lead Manager and Batlivala & Karani Securities India Private Limited is acting as co-book running lead manager to the issue. Link Intime India Private Limited is acting as the Registrar for the Neogen Chemicals IPO. Bharucha & Partners is acting as legal counsel to the offer. Spice Route Legal is acting as legal counsel to the Promoters and Selling Shareholders. Squire Patton Boggs Singapore LLP is acting as Special Purpose International legal counsel to Inga Advisors Private Limited and Batlivala & Karani Securities India Private Limited. Very high P/E Multiple of 45. Larger & more respected peers are trading at much lower multiples that too in phase of rich valuations. 2017-18 EPS was a meager Rs. 5.25. Environmental Clearance of Neogen’s factory in Vadodara, Padra Region is not in order. They are producing chemicals which are not covered in their EC. Getting expansion for further chemical production in Padra region is highly unlikely due to Padra Policy and excessive chemical pollution caused on the Effluent Canal by Dyes & Pigments producers. Bromine (Neogen’s main raw material) Production is tightly controlled by a few large global players and prices of RM are erratic. Would stay away from subscribing to this IPO.